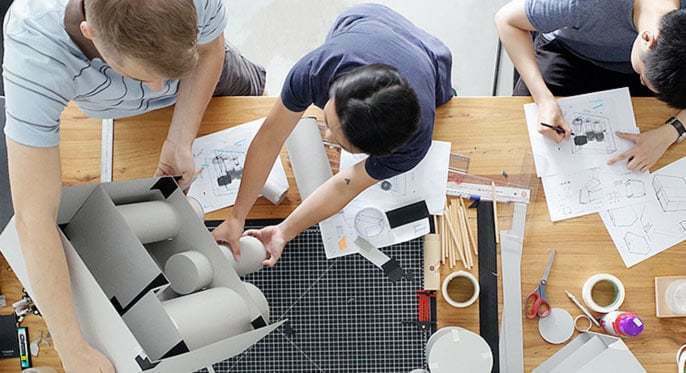 Design studio Envary helps companies design technologically cutting-edge products, offering industrial design, CMF, UX thinking, packaging design & brand identity development. 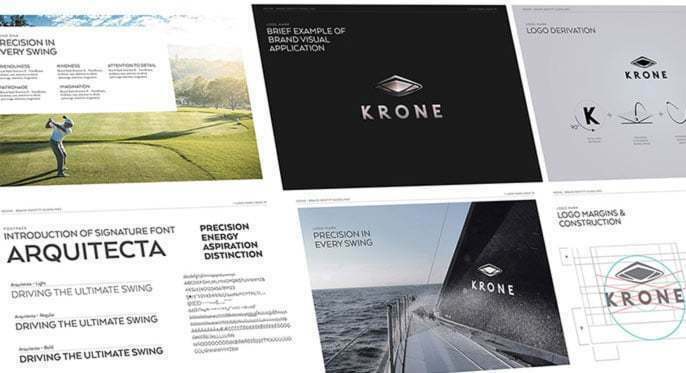 Our product designers and brand experts aid clients to better materialise their strengths across product + brand experience, thus harnessing greater competitive gains and stronger brand engagement. Headed by internationally awarded Swiss-German designers Envary also combines a trusted network of industrial designers and creative experts. Founded 2012 in Hong Kong the team works with clients across all industries, also remotely. Half studio, half design consultancy, we believe in the raw power of big ideas, creative transformation and variation, hence our name. deep dives, trend research or design sprints determining how products can improve user experience, market fit and brand building. Deep knowhow of material technologies (incl. a large inhouse CMF library) helps us turning these ideas into feasible outcomes. appearance, memorability, communication, brand relevance as well as cost and feasibility aspects. Regarding the latter we can also utilise our network of manufacturers to facilitate our ideas or overcome limitations. brands on programs and initiatives utilising the power of fresh ideas, basically using social or collaborative ideation tools to grow innovative ideas from the inside of one's company. An early consultation makes planning your project simpler. Let us know what you're trying to achieve. Then we take it from there. We are creative specialists with a technical edge, making products meaningful in a 21st century context. We closely collaborate with client teams to ideate and co-create design solutions beyond the superficial. Variety is part of our culture, hence the exploration of new viewpoints is crucial to our approach. Holistically taking on user experience facets, life routines, art & culture, materials or technologies, we often de-construct the current reality to create a new one. Yet, we ensure our work is cohesive to our clients’ reality. We love off-screen time. At the heart of our work we’re mixing analog & digital creation tools facilitating a better understanding of what we design. A reality-grounded method one can touch and feel. 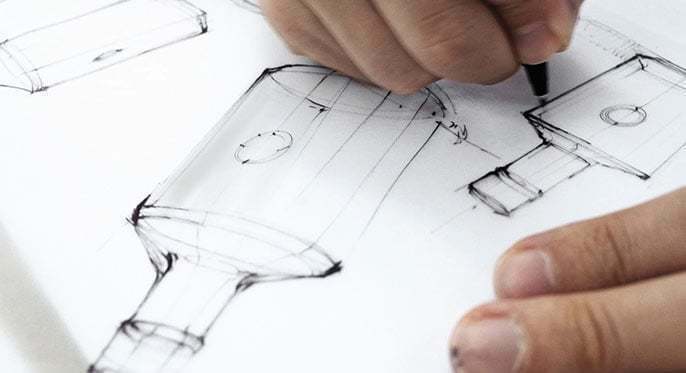 Our cross-disciplinary team not just takes whole projects from design ideation to development to launch, but considers every tangible aspect through the eyes of the user, manufacturing and gravity of the brand. Partnering with clients all the way through..
We greatly respect the productive value of a good and lasting relationship with our clients. It is the power of collaboration and open-minds. In order to develop successful designs and deliver great quality across the whole project process we believe it is crucial partnering all the way through the project across various key touch points. We work with client teams early on to help them define their challenges or determine their brand attributes, also openly discussing obstacles or honestly clarifying required compromises. To that end we always do our best to ensure that no success-critical aspect of the mission is left unharnessed, keeping our partners transparently informed throughout every project stage. We design holistically with the aim to provide universal function across various applications: Physical, digital, and spatial. In respect of the versatility of our design approach, it is also value oriented. We can flexibly adapt the quality of our deliverables or complexity of development stages to specific needs of our clients’ teams. In contrast we avoid imposing unnecessary steps in the design process. The benefit: Staying close to mutual expectations and delivering solid outcomes without added risks. From the start we care deeply about production and execution, valuing partnerships that understand the importance of investing in production as well as design.